It’s here, it’s finally here! 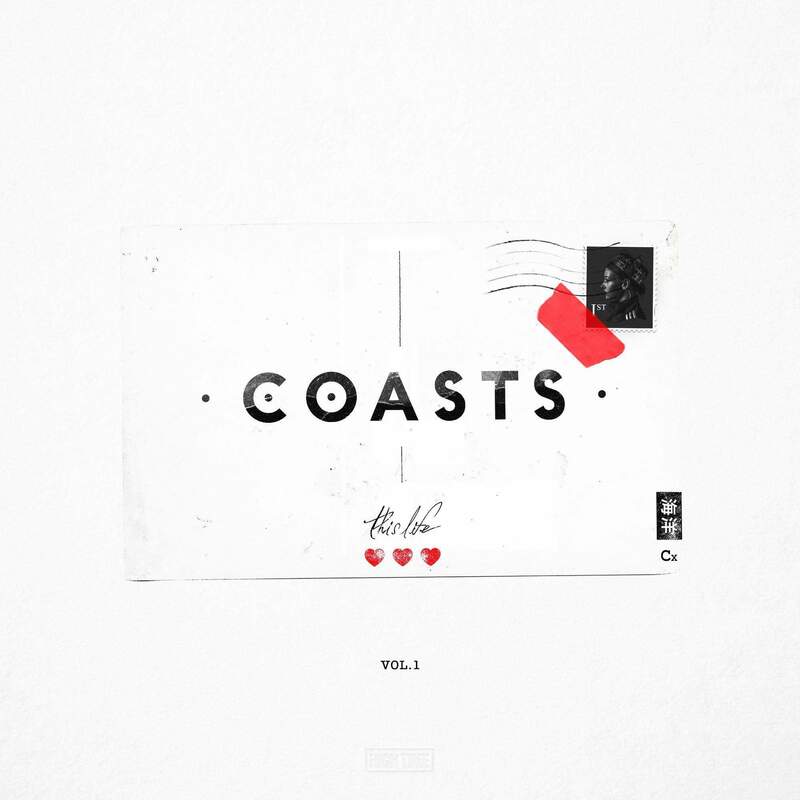 Coasts second album This Life Vol. 1 is released today and I am absolutely loving it! Coasts took to their social media channels at midnight last night/ this morning for a listening party. Sadly my phone battery died about 30 seconds in so all I got to hear was that the guys from Coasts went to bingo last night – as if I needed any more reason to love them. When I first heard the singles from the new album including ‘Come On Over’ and ‘Paradise’ I thought that they had a kind of tropical sounding vibe to them yet that was bringing the party to my door. Yet compare this to the thought-provoking and often chilling ‘Let Me Love You’ ‘Chase The Night’ and ‘Born To Die’ you have a well-rounded album that has a more grown up feel to it, referencing topics that are often ignored to great effect. I loved the constant surprises and curve balls that This Life threw out, I mean like can we talk about the choir in ‘Born To Die’? Totally majestic and so unexpected. This Life Vol.1 is a revealing insight into issues that many of us face including dealing with mental health demons and highlights that (this) life is not all sunshine and daisies. So what’s your favourite song from the new album? I literally can’t decide, I love them all but at a push, I’d have to say from the singles: ‘Take Me Back Home’ ‘Heart Starts Beating’ (affectionately known as High Stakes Blackjack) and from the newer songs ‘Born To Die’ and ‘Make It Out Alive’. This Life Vol. 1 charts at No.14 in the iTunes Alternative Album Chart and people of the UK can look forward to Coasts epic 38 date tour in September/October. Give This Life Vol.1 a cheeky listen here. How are your excitement levels right now? Mine are through the roof and it’s all because of Coasts who made not one but two massive announcements today. Coasts’ greatly anticipated second album entitled This Life will be released on the 18th August. 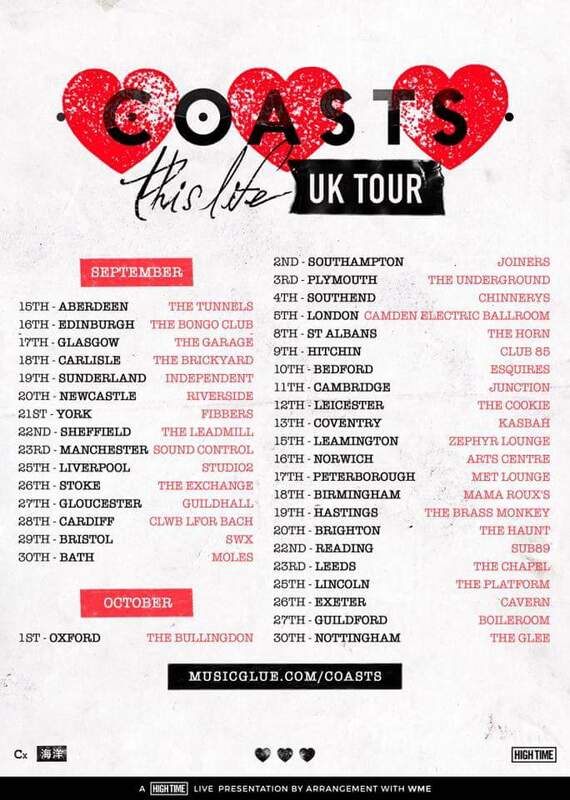 If this wasn’t enough good news for one Wednesday the guys from Coasts also announced a marathon 38 date UK album tour! Coasts will be playing at many cities where they haven’t been before as well as some of their favourite haunts. So whilst we at Adore worry about how Chris Caines’ voice will hold up, the question isn’t so much will you be going but rather how many of the dates will you be going to? Youth Is Only Ever Fun In Retrospect; Sundara Karma’s debut album has been years in the making but was it worth the wait? In a word; yes. Sundara Karma are bringing a renaissance to indie rock and are a ‘band in waiting’ no more as this explosive debut with hard-hitting hooks and intensely provocative lyrics is making a firm impression on the music scene.